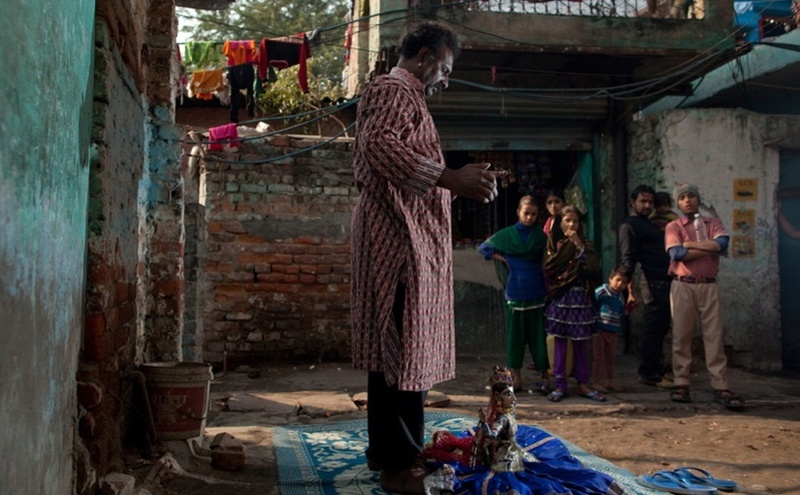 At first glance the Kathputli Colony, an artist colony hidden away in the alleyways of New Delhi, looks like any other Indian slum. Flies swarm its putrid canals. Children climb on drooping electrical wires. Construction cranes and an ever-expanding Metro line loom on the horizon. But Kathputli is a place of magic. For half a century, 2,800 jugglers, acrobats, puppeteers, painters, folk singers and magicians have called its narrow alleyways home. Then the New Delhi government sells Kathputli to developers. The land is to be bulldozed to make room for the city’s first-ever skyscraper and the artists must find a way to unite or splinter apart forever.